Mark Twain once quipped: "Everyone talks about the weather, but nobody does anything about it." Is the same true of exercise? Despite a growing, multibillion dollar fitness industry, despite an increase in sales of treadmills, weights, and other home exercise equipment, despite public education campaigns like Let's Move, eighty percent of Americans--four out of five of us--do not get the recommended amount of cardiovascular and strength training. 41 million Americans belong to gyms--less than half of those actually go to them regularly. Me: Have you been exercising? Patient: Yes, now that the weather is nice I'm walking outside. Me: But this Boston. Soon the weather won't be nice. What then? Patient: I hadn't thought about that. Patient: Yes! I walk my dog. Me: Great! What kind of dog do you have? Why aren't I doing a better job at this? Lack of time, for one thing. it's hard to squeeze a motivational conversation about exercise into a medical visit in which so much else needs to be covered (managing diabetes and high blood pressure, immunizations, flossing...). Also, frankly, doctors get very little training on how to counsel patients about exercise--and we may be no more likely to exercise than our patients! Also, sadly, we operate in a culture in which writing prescriptions is easier and more valued than talking. So what if exercise counseling came in prescription form? It does. A new partnership between Massachusetts General Hospital For Children and the Appalachian Mountain Club takes an especially creative approach to exercise prescription. 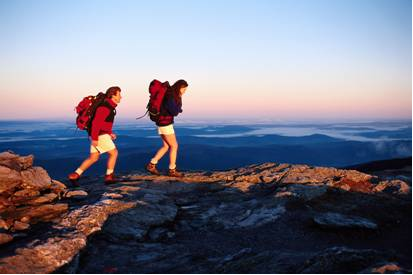 Called Outdoor Rx, the program trained 60 health professionals in the pilot sites, Waltham and Framingham, to write prescriptions giving families special access to information and activities sponsored by the Appalachian Mountain Club. Doctors know exercise benefits health, and we also know most of our patients aren't exercising--and neither are most of us. Maybe we need to do more than talk about it.